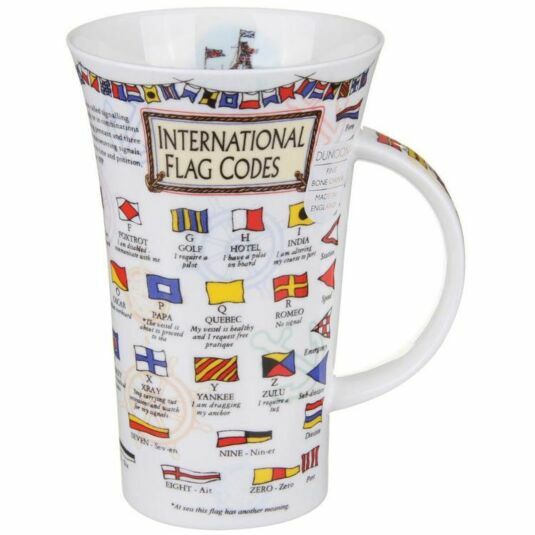 Part of a range of informative mugs that will educate and astound you with unusual facts and figures, this Glencoe shaped mug tells you everything you need to know about international flag codes. 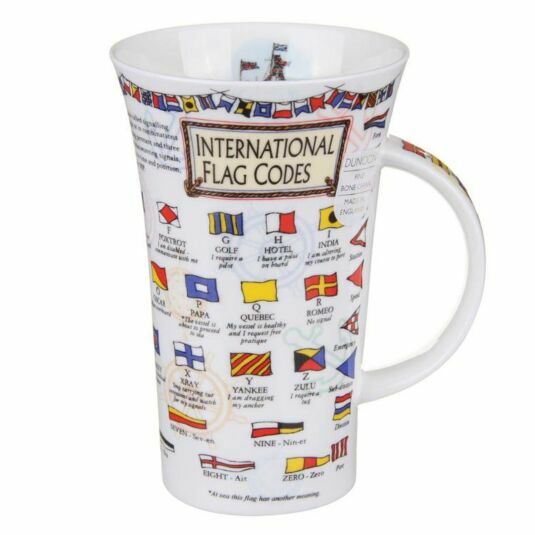 Each letter of the alphabet has its own flag and own meaning, all of which appear on the mug, as well as an overview as to the use of signalling. A great gift for any sailors or those with a nautical interest.